The ancient survivor of the native California woodland known as the chaparral is Rosa californica. A five petaled deciduous native shrub important to local wildlife. Rosa is a gorgeous natural perfume and an instant hit with those that sniff this natural perfume. Many of us were fortunate to receive samples of Rosa at a Sniffapalooza event where Roxana Villa was a featured guest speaker. Roxana continues to amaze with her naturals perfumes and is garnering quite the reputation as a top natural perfumer. This is a fragrance that truly blooms. I consider this my top "metaphysical perfume" along side Amouage Attar. Rosa, besides being the name of the California wild rose and this perfume, it was also the name of my great grandmother. 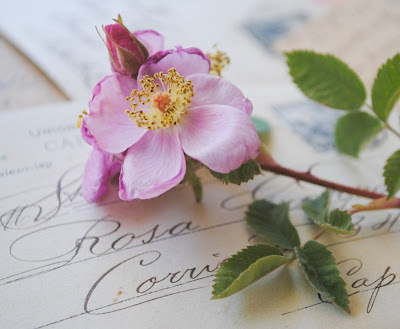 Look closely at the antique postcards I have been using lately as props for my perfume imagery, you will see her name Rosa Groppo. The solid expression of Rosa debuted with her two other sisters Vera and Page 47 on the Flower Full Moon on May 27th. Although the solid expression contains the same accords the aromatic profile has a sweeter opening than the liquid. 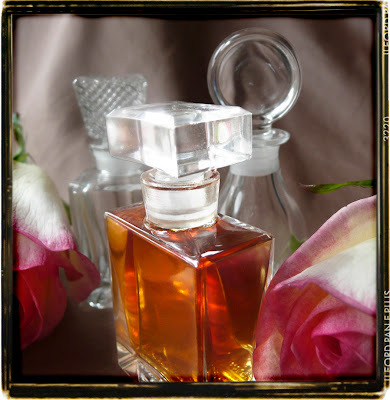 Rosa is a sparkling rose perfume unfolding from a green powdery rose bouquet into deep rich rose and wood notes. The fragrance blossoms on the skin of the wearer. The climatic ending of the orchestration is treasured Agarwood. The fifth perfume in the series celebrating the aromatic landscape of the State of California is Rosa. 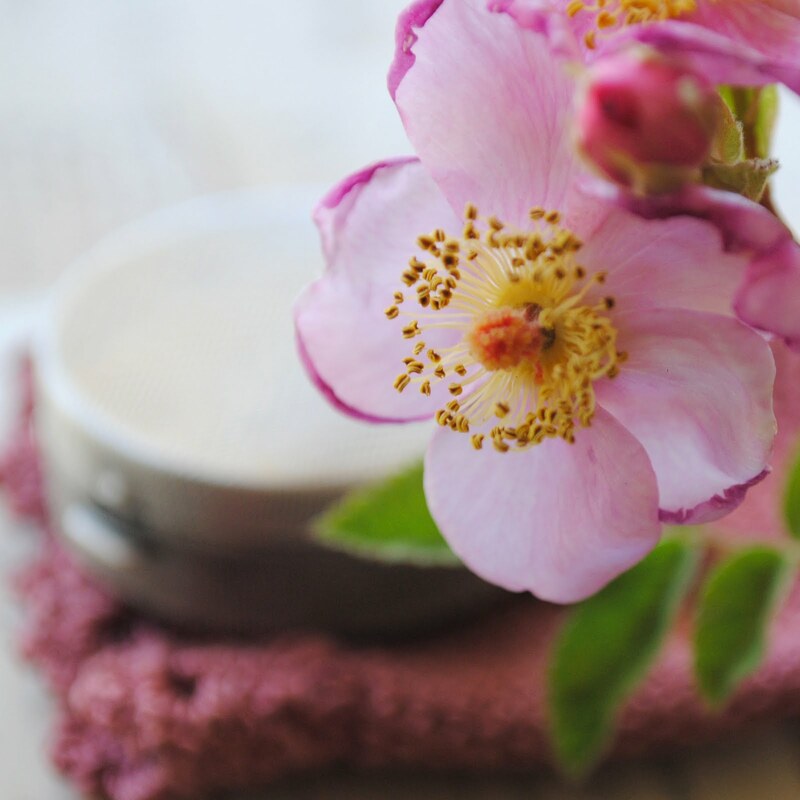 Inspiration for this fragrance came when my friend Megan introduced me to the native rose of California. The beating pulse of pain to calm." The base ingredients for this perfume are golden jojoba seed oil and organic, beeswax from a small farm in Ojai, California. 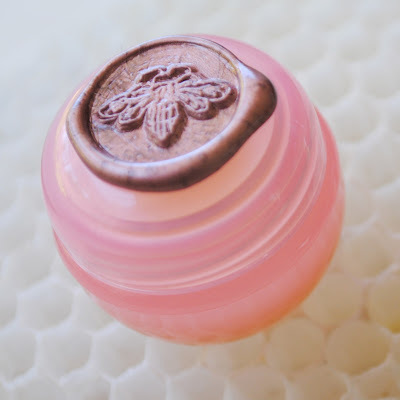 The beeswax is the only item in this fragrance that is non botanical. This green, woody botanical perfume has been created by hand utilizing pure essential oils, c02 extracts and absolutes. The ingredients include: my own leather and rose accords; vetiver and precious woods like the treasured agarwood; a very fresh rose otto from a small family farm in Turkey; a deep, resonant rose bourbonica absolute from India and several citrus oils. Leather Accord, Vetiver, Precious woods, Rose, Rose Accord, Citrus and and hand infused Lemon Geranium from an organic farm in Ojai. 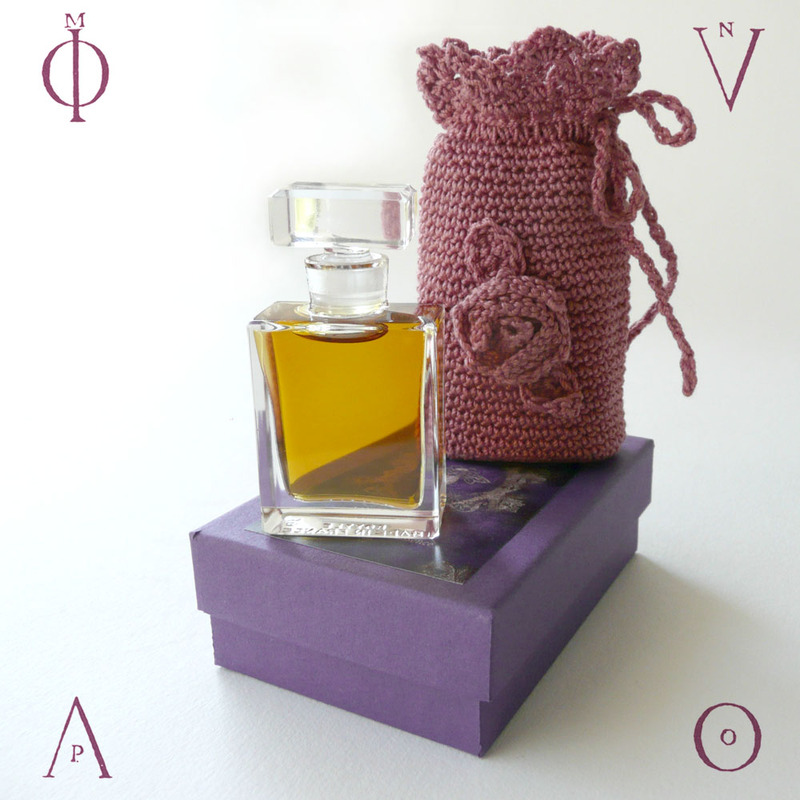 There are two accords in this perfume, the Leather accord contains several accords within it. 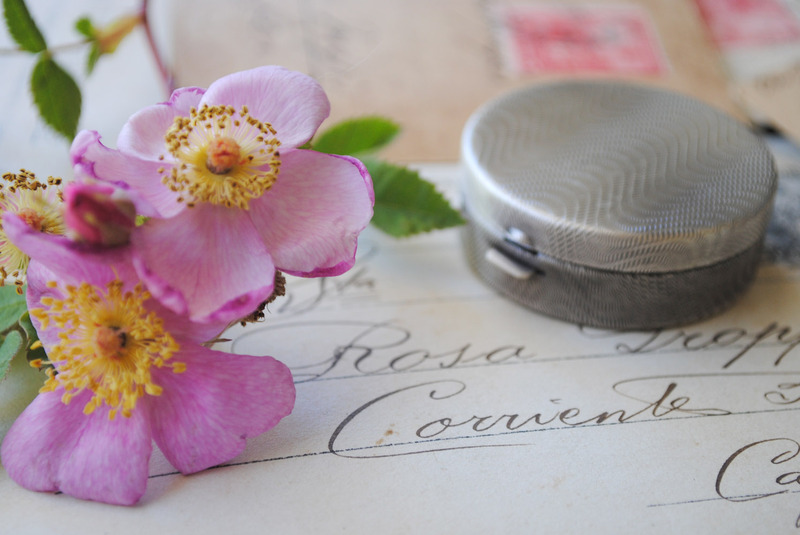 Rosa solid perfume comes in an antique finish metal compact contained in a dusty rose hand crocheted, heirloom pouch. 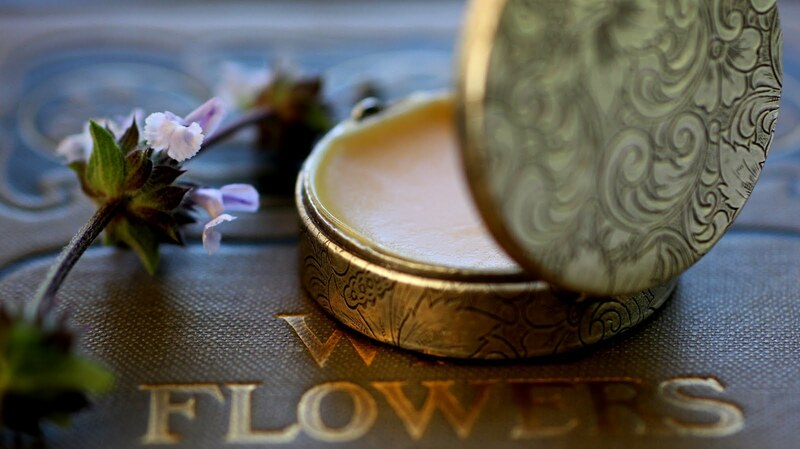 I pour the botanical perfume synergy into a combination of beeswax and jojoba. Once gently melted it is then poured into a tin placed within the metal compact. This ensures lasting performance so that the vintage gets better with age. 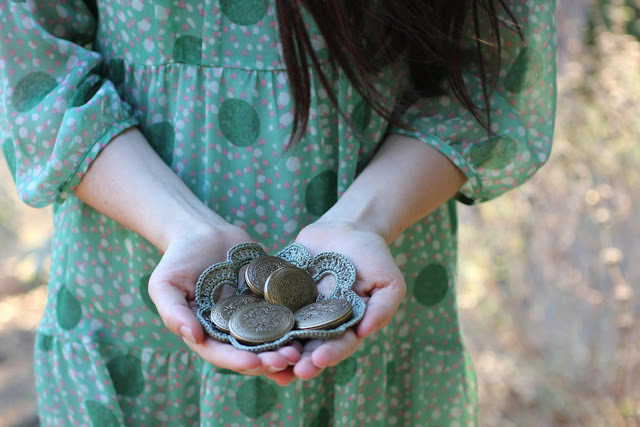 Another benefit to this is that when you are finished with your solid perfume the tin can be replaced with a new one. 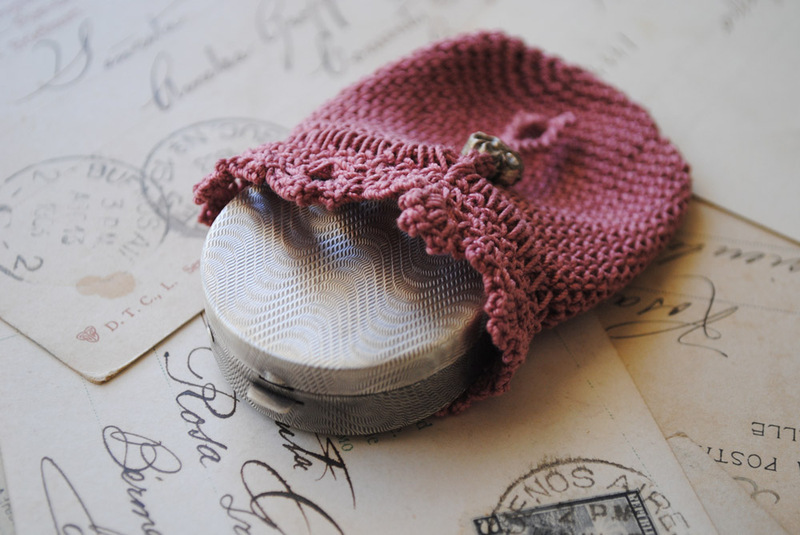 The compact is contained in a Dusty Rose hand crocheted pouch and packaged in a silk lined purple box. Rosa is available as a single sample and in the Flower Full Moon trio set with Vera and Page 47. The tops of the little pink pots are color coded with a honey bee wax seal. Leave a comment here at this post and I will enter you in a draw for pink pot of Rosa in a lavender colored pouch. The draw ends on Monday, June 14th at 10pm PST. Roxana, this post is beauty itself... can't begin to imagine how exquisitely the perfume represents the flower! Thanks for offering us the chance to go into the draw. Your shop has been in my favorites for a long time:) I've been longing to try out one of your perfumes! Thanks for the giveaway! this is a super awesome giveaway. I would love to win. Looks really pretty:) I bet it smells just as good. it sounds heavenly. i'm really curious to try this out! Sounds great, and probably smell like that too. thank you for hosting this. i bet it smells as lovely as it looks! I can't tell what's the prettiest part: the seal? the pouch? the perfume itself? Wow, the packaging alone is so beautiful, I can only imagine how lovely the scent must be. Thanks for the giveaway. I bet this perfume smells delightful! Thanks for offering it to a lucky reader. 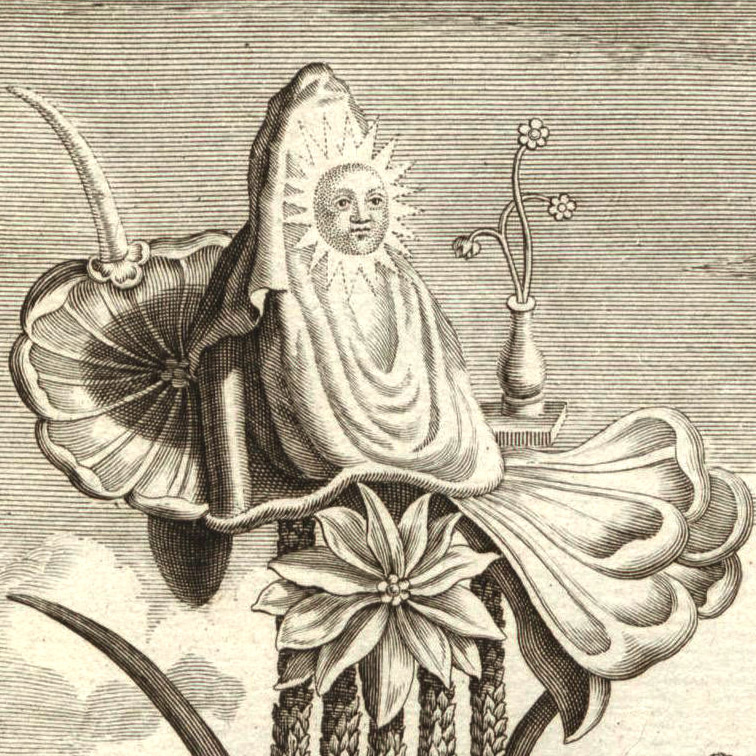 I love these posts Roxana, I love having that sneak peak into the perfumers mind and methodology. Just out of interest, how does the Rosa californica smell in comparison to other roses. My imagination runs wild as to how this new floral fragrance smells like! Sounds and looks so delicate! Count me in, please. I have always loved roses... reminded me of my mother and where I grew up. Thanks for the opportunity. Oooo..I bet it smells heavenly! Thanks for the giveaway! beautiful article about Rosa perfume and the pouch is so cute that comes with it as well . I love the photos . I would love to win this, it sounds like it smells amazing! Wow! What an amazing post, wish gorgeous pictures! I want it! Such an enchanting post. I am sure the fragrance smells divine. This post gives me the same feeling as smelling an amazing perfume!Oh,I'd love to win this!Please count me in! wow really beautiful, please count me in too! please count me in! ^^ this is so lovely! Is it just my imagination or I smell an amazing fragrance on this post? I hope I can have it! I would love to be entered in this giveaway. Thank you so much! lovely smell ! enter me ! I really love the color of the pot, lovely! Looks nice and I think it smells really good! Wonderful giveaway, please enter me. This giveaway is now closed, the winner will be announced shortly. Thank you to everyone who stopped by! Congratulations to Shelby the winner of the Rosa mini sample!